Are Golf Courses Using Your Grass In Areas Other Than Putting Greens? Our Phoenix putting greens are well known, but golf courses are also using our artificial grass for tee lines and as golf course grass. Our synthetic putting greens and tee lines are installed with Crystal Turf synthetic grass, the leading fake grass in the industry. We offer outdoor and indoor putting greens for clubs as well as backyard putting greens for your home. Learn more about Phoenix golf greens from U.S. Grass and Greens. What Brand Of Synthetic Grass Do You Use For Your Installations? We use Crystal Turf synthetic grass, the leading name in the artificial grass industry. Crystal Turf synthetic turf provides the look and feel of real grass for backyard putting greens, golf course greens, fake grass lawns and more. Crystal Turf artificial turf is lead free, 100% recyclable, and has a natural look and feel. As golf grass and more, there is no more durable or low maintenance fake turf in the industry. Look to U.S. Grass and Greens for your golf grass installation. Do You Offer Indoor Putting Greens For Residential As Well As Commercial Applications? Our indoor putting greens are available for residences in addition to our backyard putting greens. If you have the indoor space for one of our artificial turf golf greens then our experienced professionals are ready to begin your golf green construction. In addition to artificial putting greens, our synthetic grass makes for pristine fake grass lawns. Learn more about artificial grass from U.S. Grass and Greens, and discover the fake turf that plays like the real thing. Are Your Golf Greens Durable In Any Type Of Weather? Our golf greens are built to last. Our backyard putting greens and golf course grass is made from Crystal Turf synthetic grass, the most durable fake turf in the industry. Hot and cold weather are no match for our golf putting greens or artificial lawns, which you can expect to remain green and pristine year-round. Best of all, our synthetic turf is so low maintenance it’s virtually no maintenance. Schedule your fake grass installation from U.S. Grass and Greens. Do Municipal Golf Courses And Country Clubs Use Your Golf Course Grass? Our golf course grass is used by many clubs for outdoor golf putting greens, indoor putting greens, tee lines and more. Our synthetic putting greens and artificial grass tee lines allow for significant savings on maintenance and replacement costs. In addition to our golf course greens, we install backyard putting greens, synthetic grass lawns and pet turf for homeowners. Learn more about our fake grass products today. What Are The Advantages Of Installing Backyard Artificial Grass? Backyard artificial grass, whether it’s on one of our backyard putting greens or your lawn, will add to your home aesthetically and in terms of value. Our golf greens, including our indoor putting greens, are low maintenance, recyclable, and help to conserve water. In addition, our synthetic grass makes the perfect pet turf. Learn more about artificial golf course greens and “fake grass” for your lawn at U.S. Grass and Greens. What Are Some Of The Different Uses For Your Artificial Turf? U.S. Grass and Greens’ artificial turf can be used in a variety of ways including for backyard putting greens, pet turf, athletic turf, front and backyard artificial grass, indoor putting greens, golf course grass and more. We use synthetic turf from Crystal Turf, the most realistic “fake grass” on the market today. And our professional installers promise a timely and efficient installation. Learn more about U.S. Grass and Greens today. Do Your Artificial Lawns Require Any Maintenance? Our Arizona artificial lawns and backyard artificial grass is so low maintenance it’s virtually no maintenance. Made from Crystal Turf synthetic turf, our fake grass makes for a pristine yard year-round. The same goes for our synthetic grass golf greens, which also require no mowing, fertilizing or watering ever. And our artificial grass is so easy to clean and impossible to dig that it is perfect as pet turf. For great lawns, putting greens and more, choose artificial turf from U.S. Grass and Greens. Do You Provide Putting Greens In Commercial Settings? Our Arizona putting greens are perfect for commercial applications. We offer not only outdoor but also indoor putting greens made from Crystal Turf, the finest synthetic turf on the market. As golf course turf, our artificial grass looks and plays like the real thing. Many commercial entities have added synthetic grass greens to their work environment, or fake grass in lawn or common areas. Are you in the market for fake turf? If so, let U.S. Grass and Greens be your artificial turf installer. Can Your Artificial Grass Be Used For Athletic Fields? Our Arizona artificial grass is for more than just artificial putting greens and backyard artificial grass. Our synthetic turf is perfect for athletic fields in football, volleyball, bocce ball, for batting cages and of course golf course grass. And don’t forget that our artificial turf makes a great pet turf for backyard and dog runs. Let U.S Grass and Greens install your golf turf or year-round synthetic grass for your athletic field. Is your artificial grass an environmentally responsible product? The benefits of installing artificial grass lawns and synthetic golf greens go beyond the incredible look, feel and durability of artificial turf. 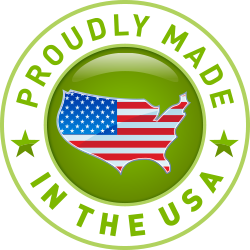 Those who’ve installed our synthetic grass backyard and indoor putting greens in residential and commercial spaces know that synthetic turf from U.S. Grass and Greens is also made in an environmentally responsible way. Are your Scottsdale artificial greens endorsed by any PGA professionals? Our Scottsdale artificial greens, including our synthetic turf backyard golf greens and indoor putting greens are so realistic in the way they play, that they are endorsed by a number of PGA tour professionals. With so much at stake for these players, it’s worth noting that they choose artificial turf Arizona putting greens from U.S. Grass and Greens as their practice surface. Installing one of our Scottsdale putting greens eliminates all the excuses and makes practicing your short game a breeze. Not only do our synthetic turf Scottsdale putting greens play like your favorite Arizona putting greens, they make practicing ultra-convenient. When you install one of our Scottsdale artificial greens (either a backyard or indoor golf green) you instantly eliminate the excuses for not practicing because of the synthetic grass haven just out the back door! When you choose one of our artificial turf products you can expect a timely golf green construction, and will be joining a long list of residential and commercial customers who’ve chosen artificial grass over the real thing. You’ve got a short game to work on, and we’ve got the solution. Call U.S. Grass and Greens today! Just how realistic can I expect my Scottsdale putting green to play? Each Scottsdale putting green we design and install looks and plays like the very best Arizona putting greens at your favorite local courses. U.S. Grass and Greens uses the finest artificial grass in the industry, and our synthetic turf backyard and indoor putting greens offer a true roll every single time. Golf green construction for both residential and commercial installations are quick and easy, and our artificial turf promises to remain in perfect condition for years to come with very little effort on your part. An expert from our team will sit down with you at your convenience to explain what makes our artificial products seemingly more real than the real thing! How realistic can you expect our U.S. Grass and Greens surfaces to play? The answer will do wonders for your short game. Our Scottsdale artificial greens, including our synthetic turf backyard golf greens and indoor putting greens, are so realistic in the way they play that they are endorsed by a number of PGA tour professionals. With so much at stake for these players, it’s worth noting that they choose artificial turf Arizona putting greens from U.S. Grass and Greens as their practice surface.